"Security is, I would say, our top priority"
Be pro-active in managing the cyber security aspect of your infrastructure. This is as critical as ensuring business continuity and having clearly defined and rehearsed disaster recovery plans in place, no less. Vulnerabilities and gaps in the enterprise systems are the biggest threat to an organization. Risk of cyber attacks from within or outside are equally dire, and unless adequate measures are in place and regularly updated, an organization is vulnerable to not only interruptions, but also legal and PR challenges. Interconnected systems are a reality of modern enterprises. And, each connection is a potential vulnerability, a small cog in the entire architecture of complex enterprise engineering. 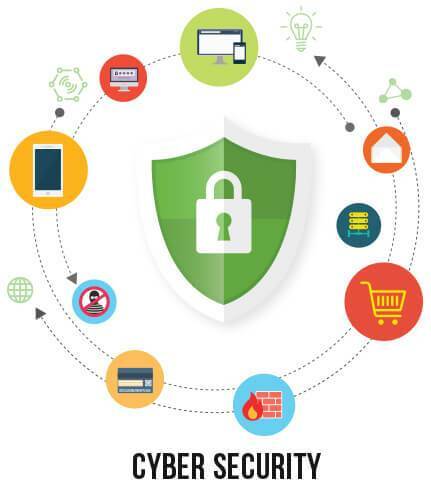 Each connection and entryway into your core and peripheral systems has a potential for unauthorized access to your devices, end-points, networks, programs, data, systems, servers, including cloud based systems and storage infrastructure. DataGenius Software Labs is one of the most trusted brand in end-to-end enterprise cyber security, serving multi-national organizations worldwide. We have the credibility, expertise, capability and experience to reliably identify, setup and deliver enterprise level security systems. You can depend on us for ensuring unified cyber security coverage for your organization. We have forged strategic partnerships with well-known industry leaders in the fields of integrated identity management and anti-virus, such as Okta and Avast. Let us provide you with a no-obligation security analysis for your organization.